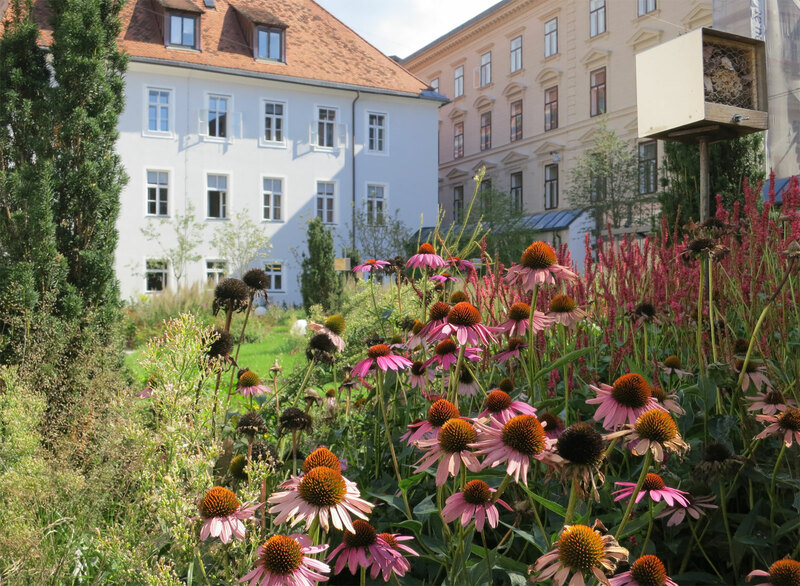 The Franciscan monastery forms a prominent part of the “World Cultural Heritage of Graz’s Old Town” and, with a monastery complex and a church, corresponds to the main city square. 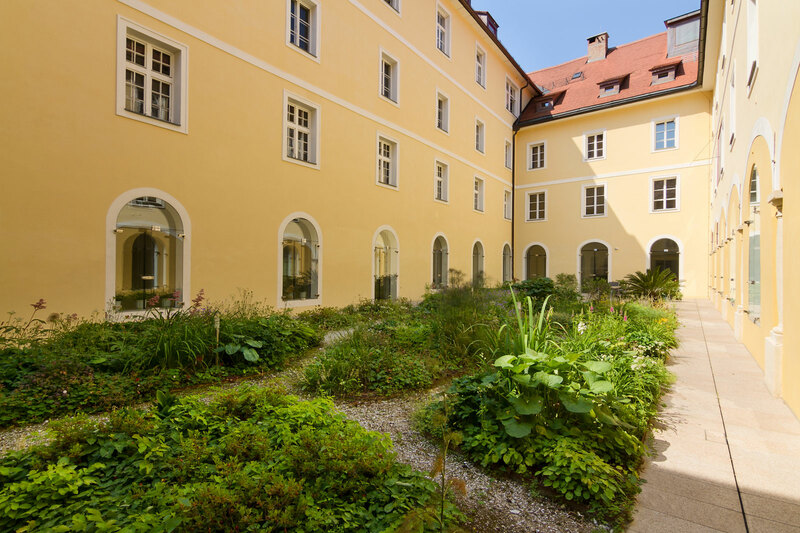 In addition to the monastery, the complex houses publicly accessible facilities such as the valuable library, halls for events, an emergency shelter and the monastery gardens. 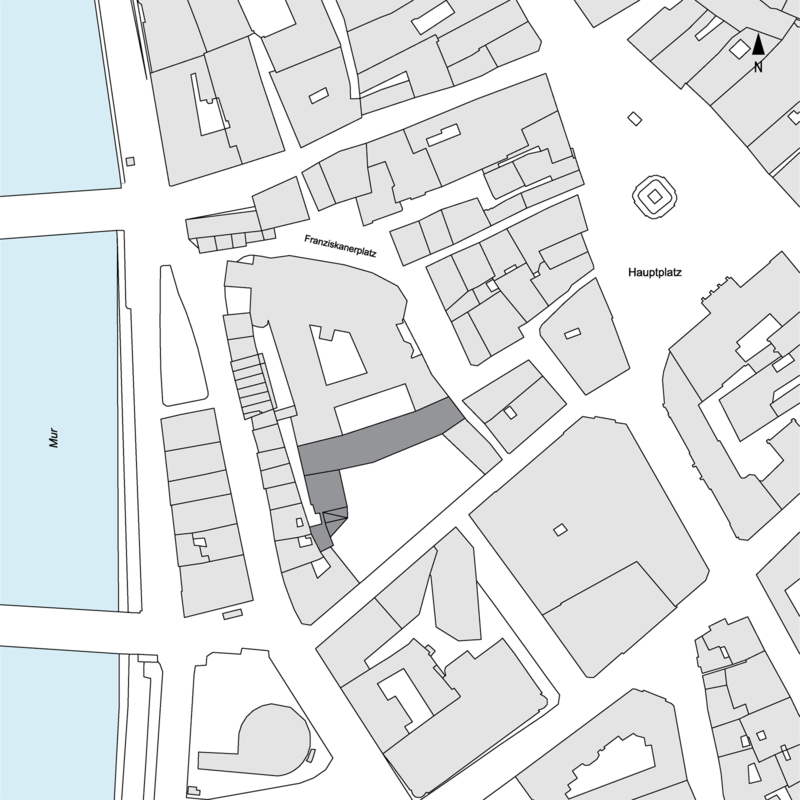 In order to preserve the complex for the next generations, a general renovation has been carried out on the basis of a master plan since 2009, with which the Franciscans also want to set a visible sign for their centuries-long activity in the city and their commitment to the preservation of a healthy environment. Important contributions are the use of cutting-edge technology, the preservation of the heritage-protected substance and a low-consumption user behavior. 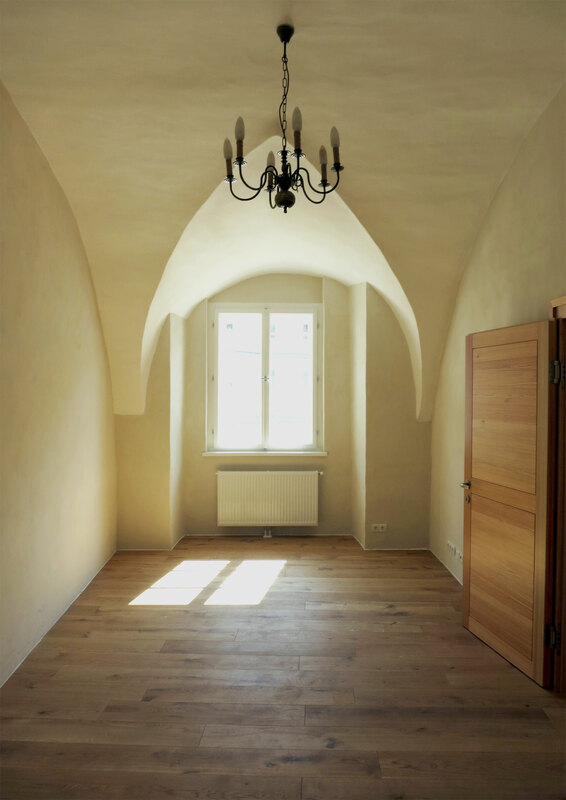 Specifically, an integrated energy system has been developed, and it provides room heating, hot water supply and the drying of the partially moistened masonry with the least possible consumption of non-renewable energy. Constantly tempered groundwater from a well and the warm water obtained from thermal solar energy mix and are stored in large water reservoirs, but also in the thick monastery walls. The thermal solar system as the heart of the complex is also a sign for the public because of its outdoor visibility. To secure the economic base, areas are leased, for which purpose the functional areas have been reorganized and separate development systems have been created. 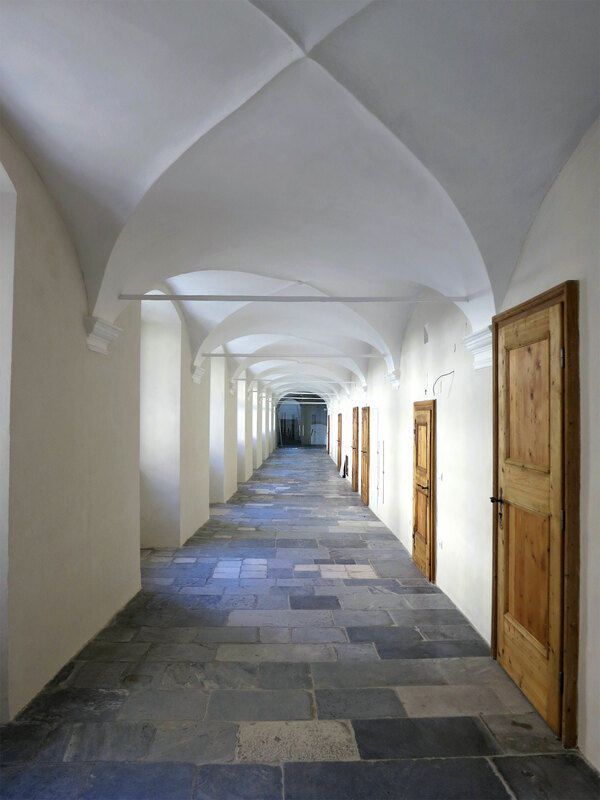 Significant interventions were the design of the cultural center and the hostel in the west wing, the installation of an additional lift in the south wing and the expansion of the attic as well as the inner new conception of the monastery cells, the new refectory and the kitchen, as well as the complete reconstruction of the southwest wing – “Bernardinsaal” event area with new foyer and additional offices and apartments. 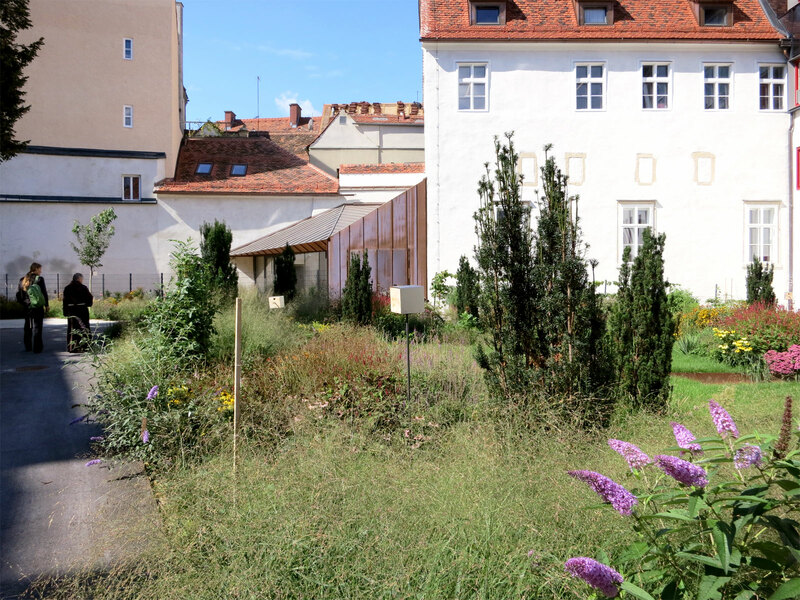 Three of the four monastery yards were also redesigned according to designs by Prof Gabriele Kiefer (Berlin). The wish of the client was to harmoniously combine high quality new with valuable old. 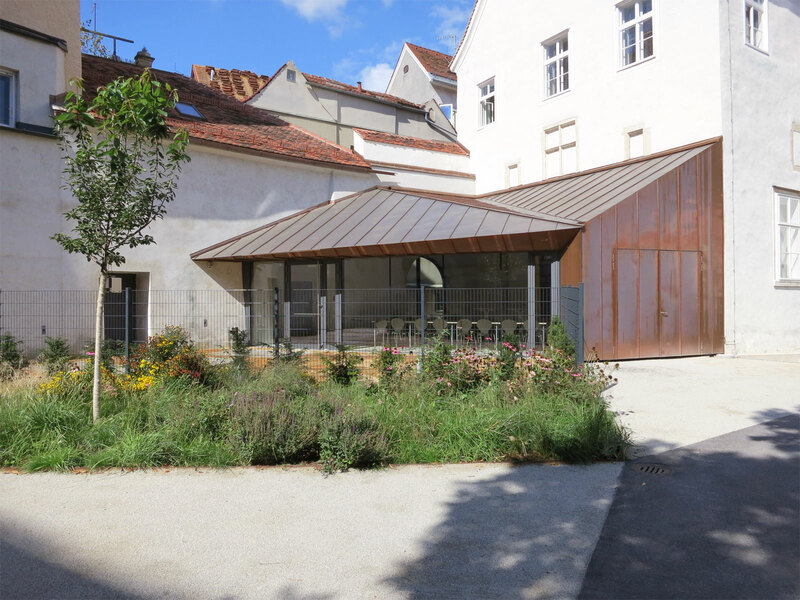 For all internal and external transformations the approval of the memorial office and an assessment by the Grazer Altstadterhaltungskommission were required. 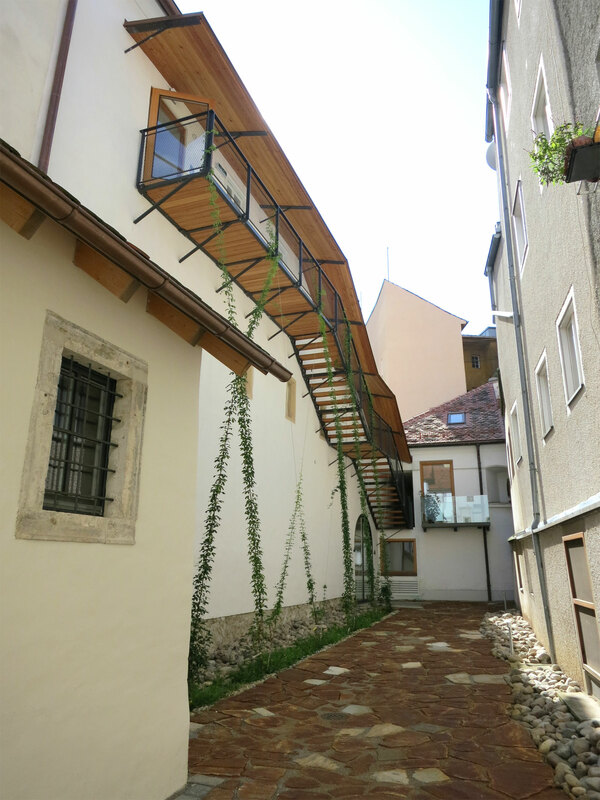 The reconstruction of the Franciscan monastery was honored as part of the “House of the Future” project of the Ministry of Environment and Energy as the “Project of a Historic Monastery on the Zero Energy Building”. 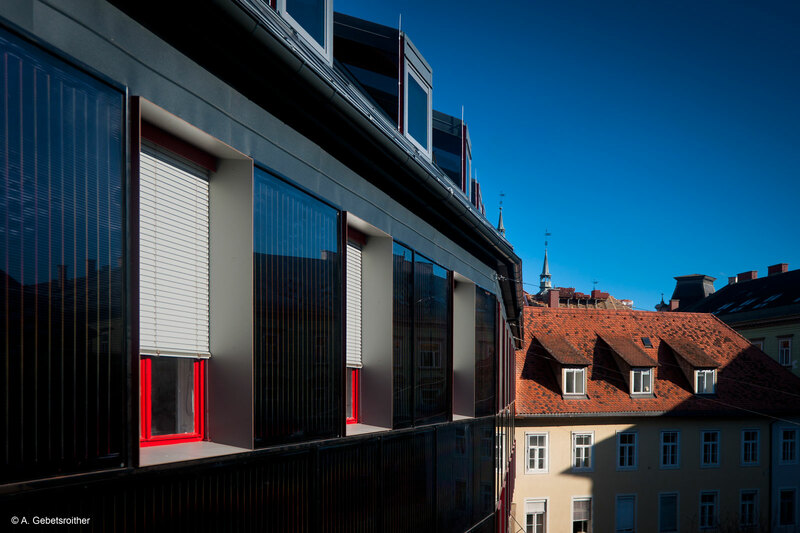 Within the framework of the research series denkMALaktiv I + II of the FFG, two research projects (building activation, insulation, windows) were carried out together with scientific partners.